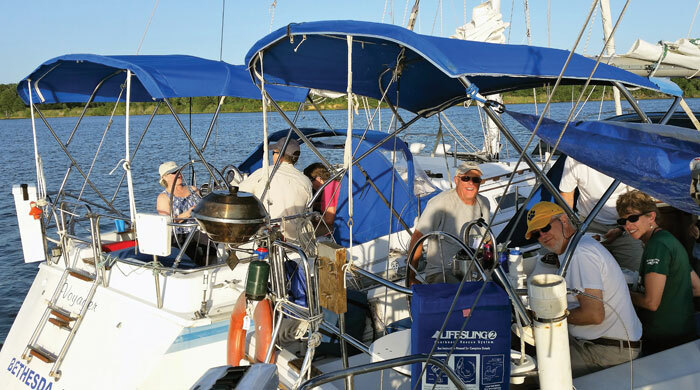 Do you love the idea of cruising the Chesapeake Bay, but don’t love the idea of owning your own boat? Then membership in Parklawn Sailing Association might be for you. Two of Parklawn Sailing Association's boats rafted up on the Poquoson River after an overnight run down the Atlantic during a DelMarVa circumnavigation. Parklawn Sailing Association (PSA) is based on the West River in Galesville, MD. We currently own two 34-foot Catalinas, a 34-foot Hunter, and a 30-foot Express, the latter used for both racing and cruising. Qualified skippers can sign out a boat for a day, overnight, or for up to a week. We also have a variety of club and training sails for non-skipper members interested in getting out on the water and gaining experience. 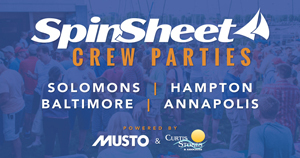 Our Open Boat Day for prospective members is Saturday, April 27 (rain date is Sunday, April 28) at the West River Yacht Harbour, 4801 Riverside Drive, Galesville, MD, from 11 a.m. to 4 p.m. Check out our website or our Facebook page for more information.